Two DeKalb County School District (DCSD) schools have earned the title of 2018 National Blue Ribbon Schools, courtesy of the United States Department of Education. 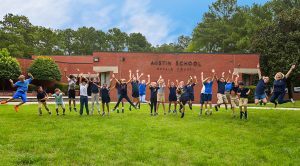 Kittredge Magnet School and Austin Elementary School were both named 2018 National Blue Ribbon Schools on Monday, October 1, 2018. As honorees, the schools join more than 8,500 nationwide who have been recognized for academic excellence as well as the closing of achievement gaps in economic and social subgroups. Since 1982, the U.S. Department of Education has honored approximately 300 schools each year. According to the department, the National Blue Ribbon Award affirms the hard work of students, educators, families, and school community members in creating safe and welcoming campuses, as evidenced by achievement and subject mastery. 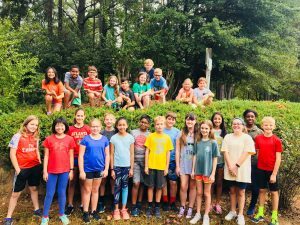 Kittredge Magnet School—located at 1663 Nancy Creek Drive in Atlanta—earned National Blue Ribbon distinction after first earning the Greatest Gains Gold Award in 2017, as well as the Highest Performing Platinum Award in 2015, 2016, and 2017. Kittredge was previously named a National Blue Ribbon honoree in 2003 and 2012. Kittredge is also a PASCH (Schools: Partners for the Future) Award School, which partners with the German Federal Foreign Office, the Central Office for Schools Abroad, the Goethe-Institut, the German Academic Exchange Service, and the Pedagogical Exchange Service of the Standing Conference. 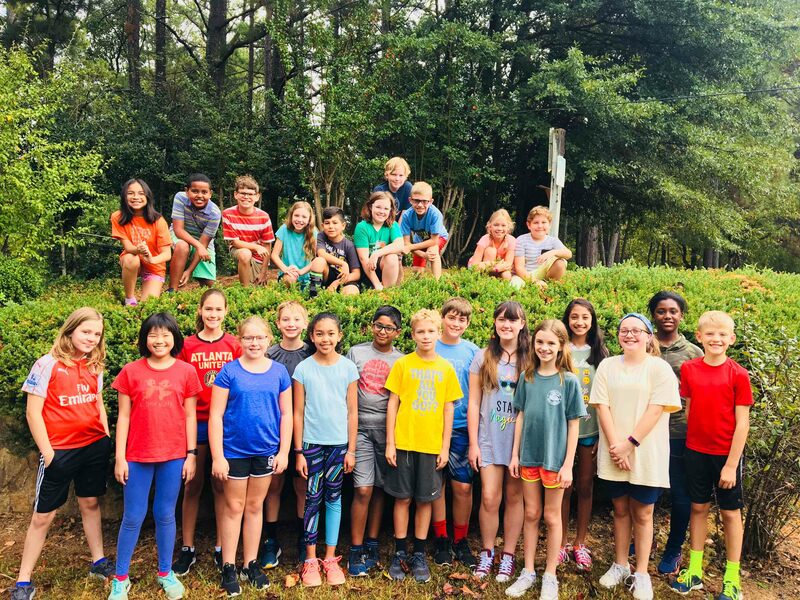 Students at Kittredge are also annual regional or state competitors for multiple team events including Reading Bowl, Academic Bowl, Science Olympiad, and Lego Robotics. Kittredge’s band, orchestra, and chorus have earned superior ratings at every Georgia Music Educators Festival. Students participate in annual field trips to Rock Eagle, Jekyll Island, and Space Camp at the US Space & Rocket Center. The school chorus traveled and performed in Ireland and Scotland in 2018. 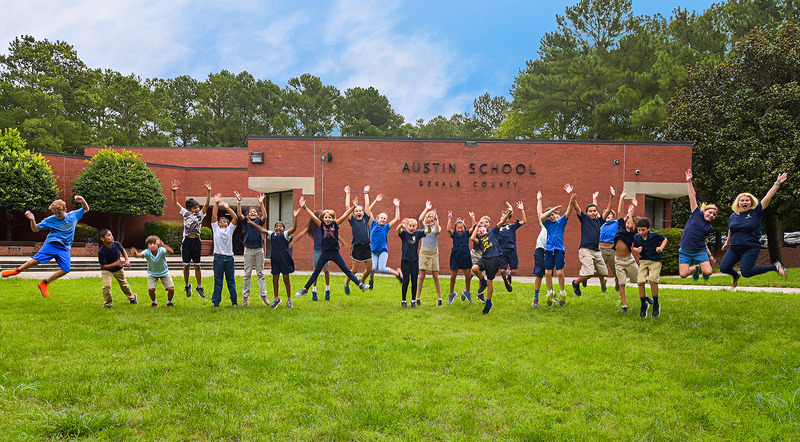 Austin Elementary—located at 5435 Roberts Drive in Dunwoody—has also earned the Greatest Gains Platinum Award in both 2015 and 2016, as well as the Highest Performing Platinum Award in 2015, 2016, and 2017, making Austin one of the highest performing schools in Georgia, as well as one striving to continue to be better. Austin also celebrates achievement through such past activities as an Ellis Island Reenactment, a Hurray-for-the-USA Performance, a Second Grade Circus, a International STEM Celebration, the Pinwheels for Parkland initiative, the annual Eagle Bowl, the Academy Award of Books, a 5th Grade Leaders program, and honors chorus. Students routinely demonstrate their learning through LEGO Robotics, Sphero Robots, 3D printing, Little Bits, Makey Makey, computer programming and more.